Some but not all governments in Western countries are making efforts to regulate the rise of e-cigarettes, especially as more and more studies emerge showing how harmful e-cigarettes are, how addictive they are, how they don’t help smokers quit and how they act as a gateway to cigarettes! But teenagers and young adults especially are still taking to vaping in the false believe they are harmless and not addictive. 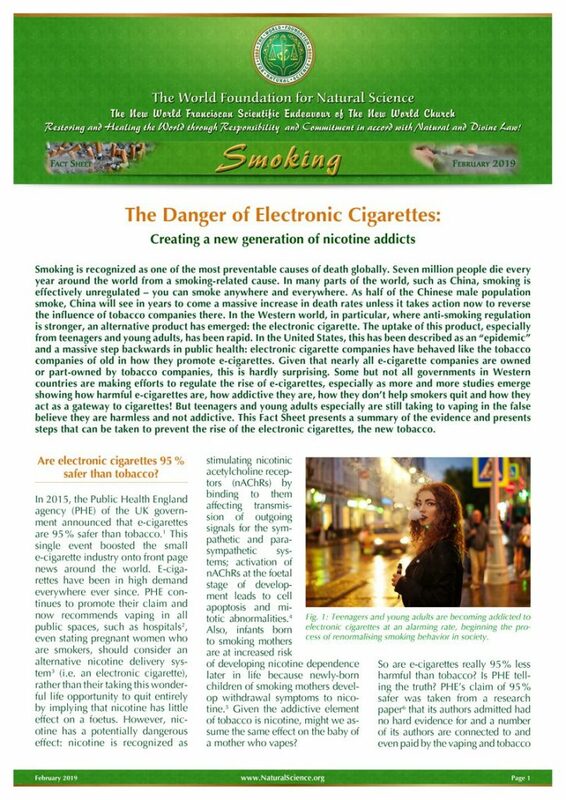 This Fact Sheet presents a summary of the evidence and presents steps that can be taken to prevent the rise of the electronic cigarettes, the new tobacco.